We can’t thank all our wonderful customers enough! We love working with you and being a part of your business and helping it flourish every day. Thanks again! 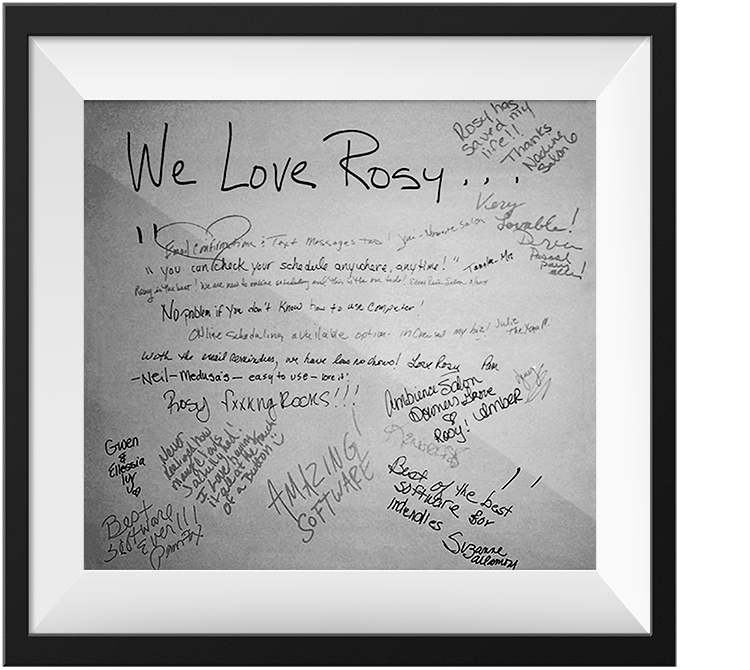 Various Rosy clients letting us know how much they love Rosy. Various Rosy clients from America’s Beauty Show 2015. Rosy has 5/5 stars on Capterra!